I am a recent graduate of the MA Graphic Communication Design Course at Central Saint Martins. These are a few of my most notable projects from that period. The common theme for many of my MA projects. Steve Gaynor, lead designer at the Fullbright Company, describes the narrative technique used in the games they make as ‘forensic storytelling’ *. 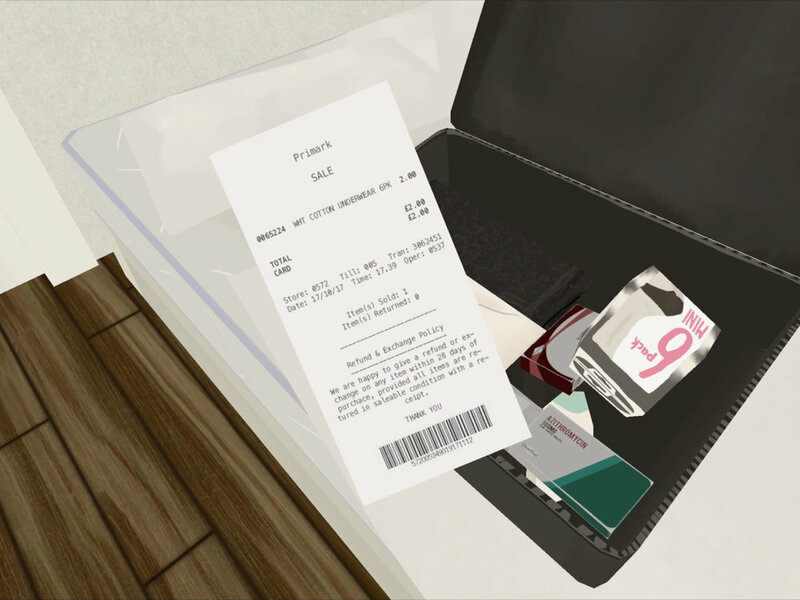 In their game Gone Home you inhabit the role of Katie, a young college student returning home after backpacking through Europe. On arriving home you realise that the house is vacant. The game is set in 1995, there are no mobile phones, and a because of a bad storm the phone lines to the house have been severed. This leaves your character with no way of contacting her family. To discover what happened there and where your family is you have the ability to interact with any of the items in the house. By putting together the information inferred from different objects and possessions in the house you can discover what happened there. The narrative of the game is not explicit and can only be discovered by exploring the space and inspecting the objects. Similar to an archaeologist or a forensic scientist investigating a scene after the fact. *Giant Bomb Presents Talkin’ Tacoma With Steve Gaynor. In this project I decided to deal with the issue of abortion law in Ireland. At the time I made this project abortion was illegal in Ireland and an average of 12 women would travel to the UK to access safe and legal abortion. I felt that the arguments against legalising abortion in Ireland we're all very hypothetical and failed to acknowledge the law's effects on real people. I felt the best way to add to the discourse was to highlight how the law can be devastating for the lives of many people. I made a overnight bag that might be I wanted to tell their story through the objects in the bag. The bag included items such as plane tickets, medication, receipts and bloody underwear. My goal was to create empathy in the audience and I hope that using mundane objects that we can all relate to contributed to this. I decided to return to this theme in another project. Except this time I was experimenting with using 3D virtual space. This project is a first person game where you play the part of a woman who has just returned home to Ireland from the UK after undergoing an abortion. You are tasked with unpacking the luggage bag that you brought with you. In this experiment I aimed to tell the woman's story using both the items you unpack from the bag as well as the possessions she keeps in her room. We are intimately familiar with our computers and phones, we keep all of our personal information on them. We are also fluent in their language, for example on our phones we are fluent in the language of swipes and taps, likes and comments, most people tend to find their interfaces extremely intuitive. I decided to test what I'd learned about forensic storytelling in this new medium. I started out making a fake desktop where you can go through the owners images, emails, chat logs etc. However this idea really started to feel right when I implemented it on a phone interface. You can see my original mock up of how that would look below. After a lot of experimentation and iteration this project eventually evolved into my final project, #topshaggers. You can learn more about that here.